The Effenbert-Liberty Racing Team has renewed its contract with Sylvain Guintoli for the 2012 season and the Frenchman will now line up again for the Czech Republic-based team for a second successive year. The decision was made following the excellent results achieved by Guintoli during the second half of the World Superbike Championship, once he had recovered from the terrible crash he suffered during the first round in Phillip Island. Despite everything he still managed to conclude an excellent sixth place in the final standings. The team and rider are both very pleased to continue the adventure together, convinced that ,in the next season, they can further improve performance. 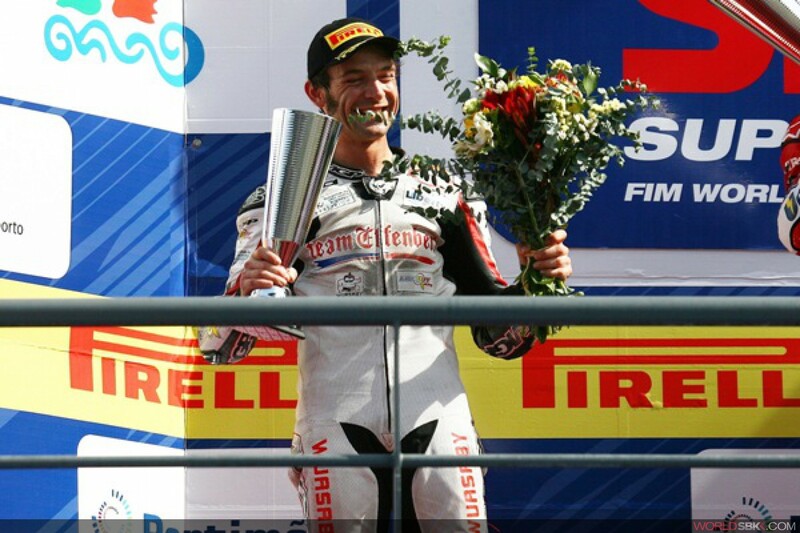 Immediately after signing the contract for 2012, Guintoli declared: "I am very happy to stay in the Effenbert-Liberty Racing Team, I felt very well both from the technical and from the human point of view and now I have developed a very good feeling with the Ducati that suits my riding style well and is giving me great satisfaction. I am very motivated and am sure that next year we will improve. It will be a great season!"